John practices in the areas of insurance defense and coverage disputes, personal injury defense, employment law, commercial litigation, automobile liability defense, and the defense of large national corporations. John joined the firm in November of 2016 after two years of practice in an insurance defense and civil litigation firm. 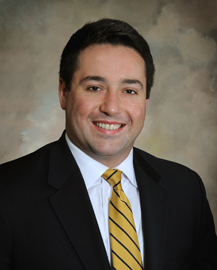 John graduated from the University of Louisville Louis D. Brandeis School of Law in May 2014 and was admitted to the Kentucky Bar in October 2014.